Tharsis is one of the most intriguing games at PAX. We've already spoken with Mike Roush, co-founder of developer Choice Provisions, about the game, and now he's back to show off the first full gameplay demo. 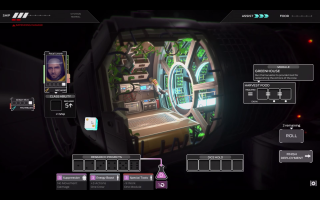 It's a blend of roguelike and board game, in which you're tasked with keeping the first manned mission to Mars from meeting a grim fate by rolling dice to make repairs, grow food, and generally keep your crew alive. Watch the video above to see a full (albeit catastrophic) game play out.